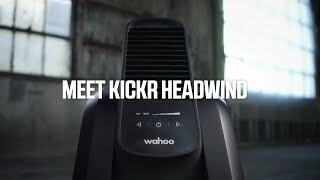 Introducing the Wahoo KICKR HEADWIND Smart Fan, climate control, controlled by you. Winner of a Design & Innovation Award 2019, The Kickr Headwind, cleverly responds to the intensity of your workout, to provide optimized cooling; ultimately, the harder you push yourself, the more it will help cool you down. It does this, using your paired heart rate monitor or speed sensor. Producing winds of up to 30mph it makes training indoors feel better, helping you train harder for longer.